Music is always connected with intense emotions, from this point red and black grungy layout ideally fits the concept. Dark brick wall is visible in the background. Slider demonstrates artists with musical instruments. Featured products are supplied with blood red Add to cart buttons urging customers on action. 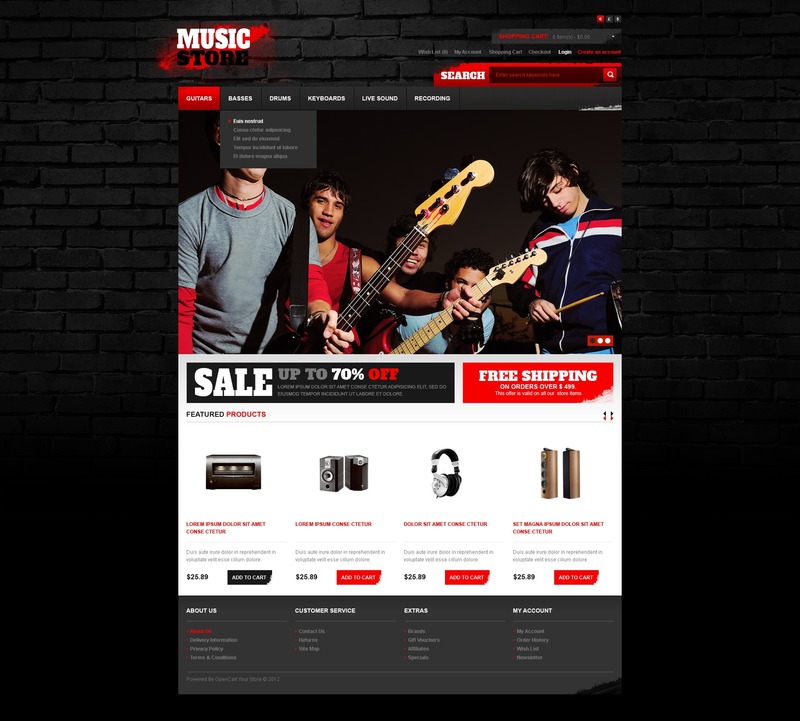 The template meets the needs of online music, movie or CD & DVD stores. This template is perfect for electronics, computers, software, media, entertainment, tools, and equipment stores.